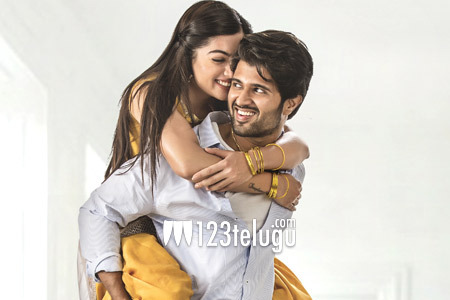 Tollywood’s young sensation Vijay Deverakonda’s Geetha Govindam is currently a hot cake in trade circles. The film is growing from strength to strength with each passing day and is registering solid revenues in all areas. According to the latest reports, Geetha Govindam has collected a whopping share of close to 26 lakhs on its third day in Krishna district, taking its three-day total to 1.4 crores. This is a rare feat achieved by any medium budget film till date in this region. Trade is confident that this film will collect close to 3 crores by the end of its full run in the district. Happening beauty Rashmika is the female lead in this film and Parasuram has directed it. Geetha Arts has bankrolled this romantic entertainer.